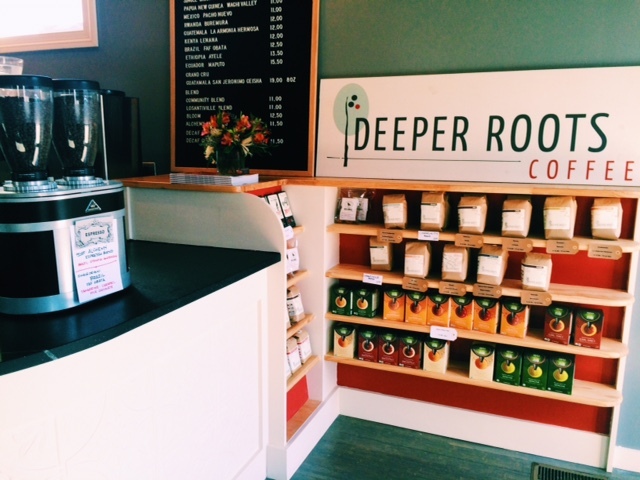 Deeper Roots Part 2 (Coffee Bar) – Go There. Try That. As I mentioned in my previous post, I’m a huge fan of Deeper Roots. 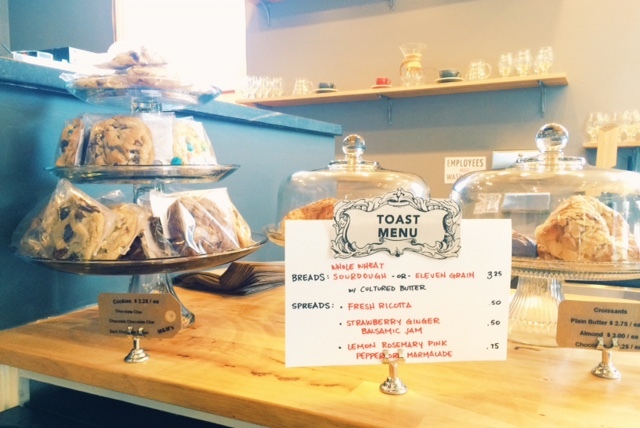 This is why I suggested meeting there with a group of friends on a recent Sunday morning; I was excited to check out their new location in Oakley. If you’re familiar with the main strip in Oakley, Deeper Roots is located next to Blue Manatee, and just a couple doors down from Aglamesis (yummy) and King Arthur’s Toys (fun). There’s a parking lot right next to the coffee shop and a few street spots out front as well. 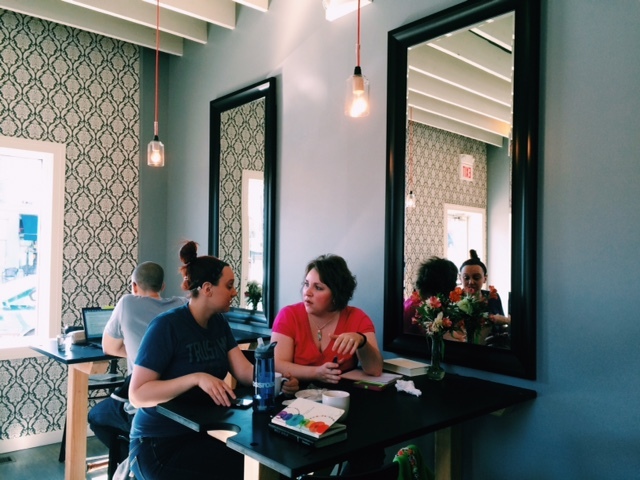 The coffee shop, while not huge, is bright and friendly. There are several high top tables in the front and some smaller tables and seats in the back. We sat at one of the tables right across from the coffee counter, which was perfect, because as one of my friends affectionately pointed out, I’m a coffee snob and I like to A) engage with my barista and B) order more than one drink! 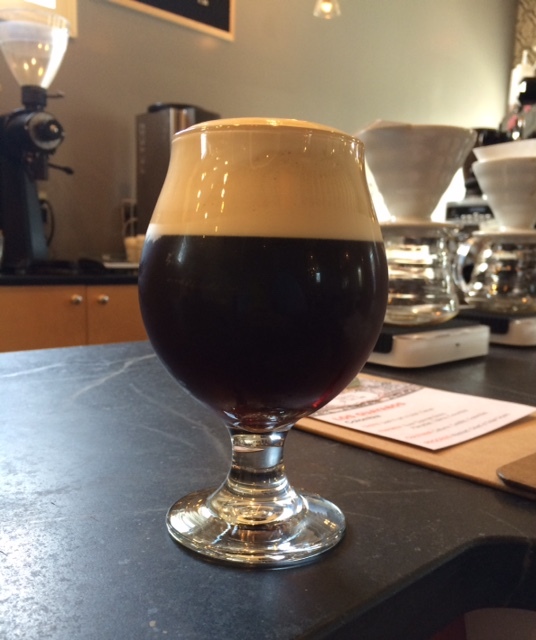 Get this: the barista at Deeper Roots lets me open a tab! Love it! 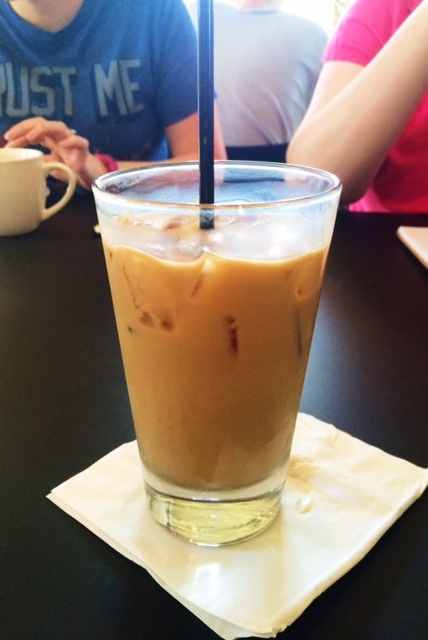 I also enjoyed the cold coffee made with Geisha– a single origin Guatemalen. Delicious and refreshing! I would absolutely order this coffee again. It makes sense that I love this one so much because as I mentioned in my previous post, I tend to favor Central and South American coffees. Then, I topped it off with an iced late which was made with the Alchemy Espresso. The Alchemy is a blend of Brazilian, Guatemalan, and Ethiopian. Do you think I was caffeinated enough for the day? Between the four of us, we enjoyed some of each! Sourdough is my absolute favorite bread and it was warm, soft in the center, and perfectly crunchy on the outside. 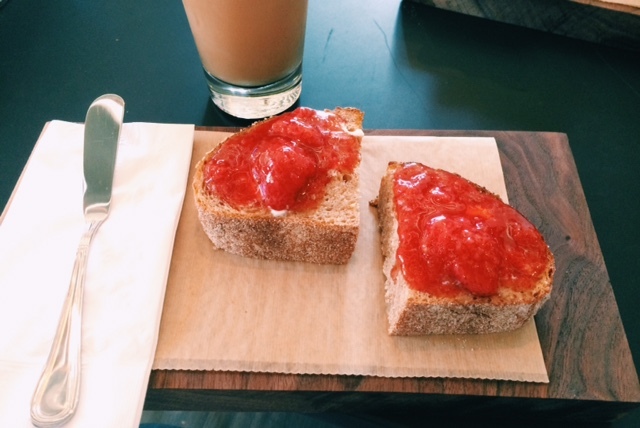 Plus, the strawberry ginger balsamic jam was delicious! 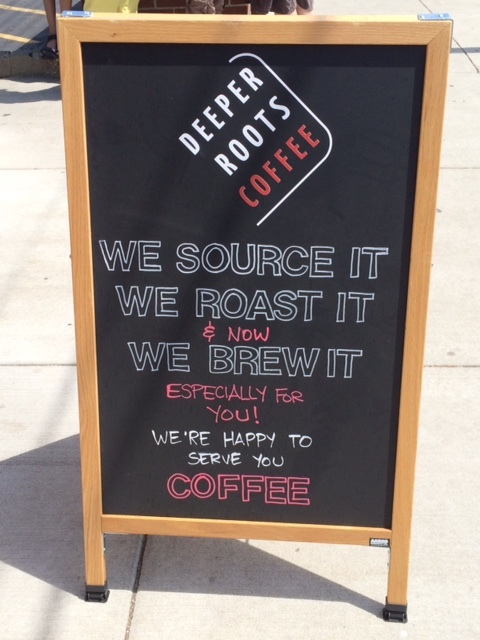 Fellow coffee snobs, Deeper Roots serves Cold Coffee, Pour-over, and Espresso! Fru-fru drinkers, don’t worry, there are lattes and mochas as well. 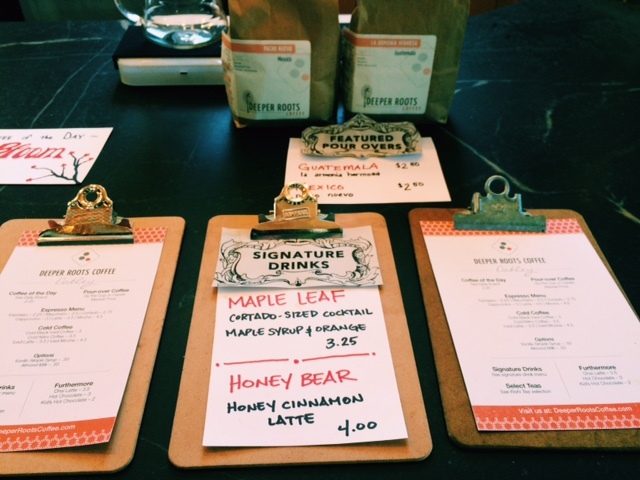 For example, on this day, one of the drink specials was a Honey Bear (Honey Cinnamon Latte). Of course, I just had to take some coffee home for my husband! Only the best for the best! 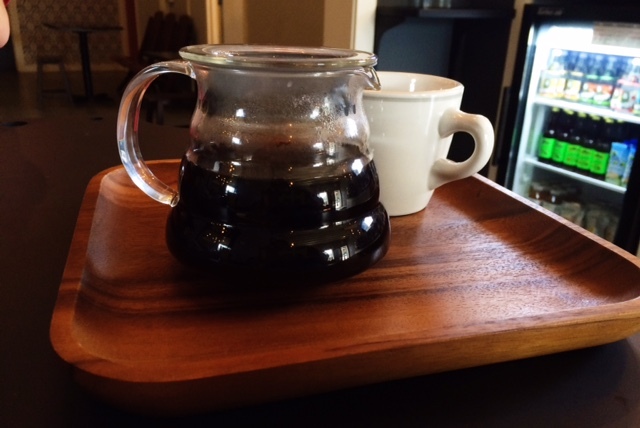 Update: I actually went back to Deeper Roots with my husband a week later and he tried the Pour Over– Congo Kivu. He said it was very good! More of a classic coffee taste with a full body! Only downside, watch the hours. Deeper Roots, like many coffee shops, is not open in the evenings. They close daily at 4pm. Overall though, great company, great mission, great coffee! GO THERE (Deeper Roots in Oakley)! 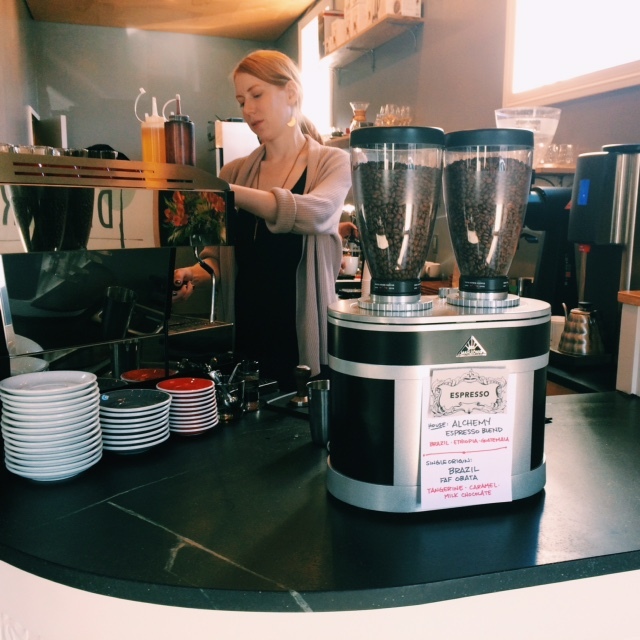 TRY THAT (Cold Coffee, Pour-over)! You find the most amazing places!!!!! We can go exploring together this summer! 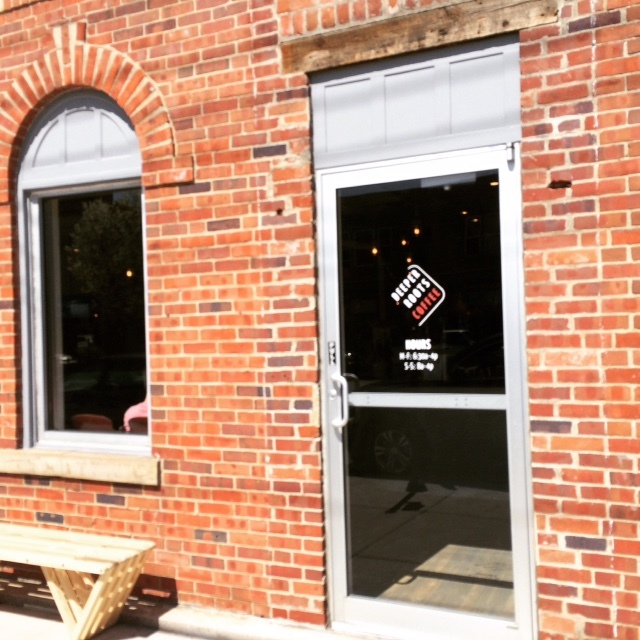 Cincinnati Coffee Roasters – Go There. Try That.